ARVIND SWAMINATHAN writes from Madras: Depending on what you expect of your newspaper, either The Times of India played just the right role in the N. Srinivasan matter: proactively taking up an issue that concerns a “nation of a billion-plus”, right up to the very end, even if it did not secure the end it would have liked. Or, it plainly overdid it, to the exclusion of all else, eventually falling flat on its face. Over a 13-day period beginning May 22, ToI ran 87 pieces (outside of general BCCI/IPL pieces) with the BCCI president exclusively in focus and almost all of them either demanding, provoking or predicting the end for Srinivasan following his son-in-law Gurunath Meiyappan‘s arrest in the alleged IPL betting scandal involving Vindoo Dara Singh. 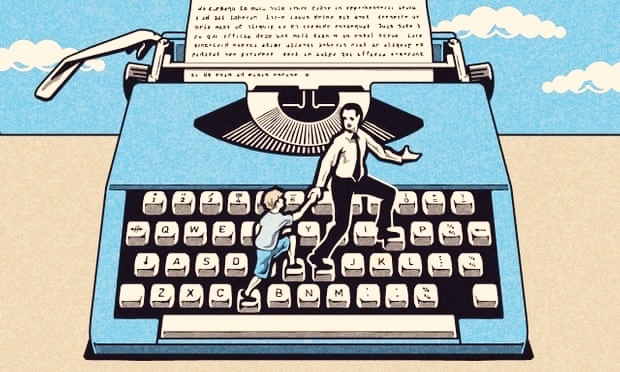 Among these 87 pieces were seven editorials, mini-editorials and opinion pieces, five interviews, and four cartoons. It even launched a public service advertising campaign (below) midway through the campaign. 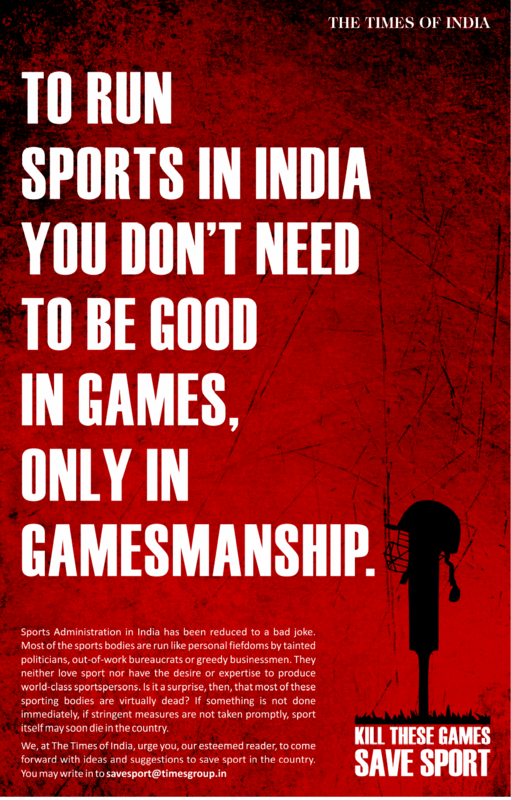 But it was only on May 28, the day after Srinivasan told a BCCI meeting in Calcutta that he would not resign following his son-in-law’s arrest for his purported involvement in betting, that the ToI coverage took on a more aggressive, advocacy air—eerily reminiscent of the paper’s Commonwealth Games campaign—urging board members, politicians and other sportspersons to speak up or quit to bring pressure on Srinivasan to do the same. In making the murky BCCI saga its bread, butter, jam and marmalade day after day for 13 days, The Times of India relegated more important but less reader-friendly stories, like the massacre of Congress leaders in Chhattisgarh at the hands of Maoists to the inside pages. # On May 26, the day after the Chhattisgarh massacre in which 28 people perished, the story was second-lead (as indeed in the Hindustan Times). # Srinivasan’s fate was the lead ToI story on each of the 13 days; in contrast, the Chhattisgarh ambush found a front-page mention only on four days. # Altogether, ToI ran 29 stories on Chhattisgarh as opposed to 87 on Srinivasan alone. # Four times, ToI invoked the name of India Cements, Srinivasan’s company (“India Cements stocks hit 52-week low”, “India Cements brand to take a hit”, “India Cements disowns Meiyappan”, “India Cements underperform peers”) to drive home its point on Srinivasan. 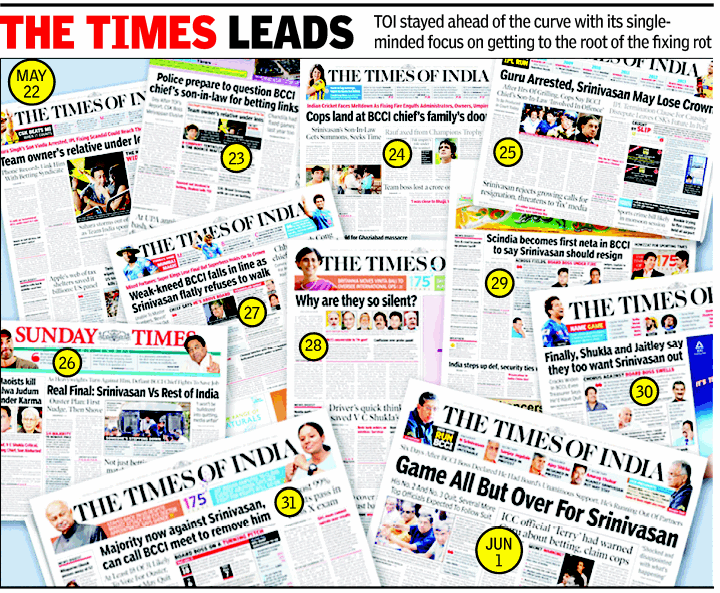 # On May 29, ToI rounded up 30 talking heads seeking Srinivasan’s ouster. The role of Times Now in drumming up the anti-Srinivasan mood is outside of this quantitative analysis, but with Srinivasan only “stepping aside” for a month at the end of all the sound and fury signifying nothing, the newsworthiness of the Times campaign is open to question. Below are the Times of India‘s 87 headlines, graphics straplines, intros, editorials, mini-editorials, cartoons, interviews involving Srinivasan over the 13-day period. Is Srini trying to insulate CSK? Lead story: Why are they silent? Strap line: Will he really sit it out? For the TOI, it is always “jo bikega, woh likhega.” I agree with the previous poster and the media that N. Srinivasan should have resigned on Day 1 but it has not happened and probably never will! The BCCI guys, especially its politician members, are all partners in crime and ace manipulators. Clearly, yesterday’s agenda involved the keeping out of Sharad Pawar. But the TOI coverage, especially on Times Now, was over the top with unnecessary decibels from Arnab Goswami (He just hectors people and does not let them complete their statements!) The media house sees itself as the new “Change” messiah and this time it seems to have boomeranged badly. Times Now’s coverage of the Srinivasan saga was as shrill as it was patently unjournalistic. It was clearly biased, angry and jingoisitc. Like on June 2nd, after the Chennai meeting (which was a farce anyway), Times had a leader which said “death of cricket” or something as dangerous sounding as that. They had Surinder Khanna (scrapping the bottom of the barrel) who even questioned why judges from Tamil Nadu will always support Srini. Then there was one more panellist who was whining about how BCCI had not taken his support when he offered.. Times was all over the place.. the best part of the conversation was when one panellist started saying “in light of the spot fixing scam” and was rudely interrupted by the anchor who shrieked “this is not about spot fixing, not about spot fixing, not about spot fixing”. In fact, they perhaps turned the tide in favor of Srini as most viewers (the English speaking types) felt embarrased about the noise level. The non-English speaking types anyway dont care.. While one has never committed the sin of associating the Times of India with journalism, one must admit that this rant against cricket administration showcased a hitherto acerbic nature of the group that’s known for baking news – yes not breaking news! To waste so much of newsprint and such a lot of air time on a private club that runs cricket is hardly something that one expects the ToI to do but for some or the other ulterior motive. Were they playing cheerleaders to Sharad Pawar or did it have something to do with their own failure to win an IPL franchise, nobody can tell. But, suffice to say that Times of India proved that it was definitely not in sync with the ‘times of India’ when it came to selecting and following news on which we as citizens of this country have a right to speak on and be heard. As for the BCCI, it is a private club that has its own constitution and cricket lovers are free to shift to hockey or football if they believe that the mandarins are doing a bad job of administering the game. Surprising that Mr Loudmouth at the helm of Press Council is uncharacteristically very quiet! Suresh Kalmadi was the target of Time pass India when he did not oblige an exclusive ad contract. Surely did Srini too commit a similar crime? Thank God DD is still there just giving news leaving it for audience to do their own analysis! Times of India is a known devil. They can stoop to any level, everyone knows. But the Hindu, the “most respected English daily in India” joining the rat race to bring down all journalistic ethics to mud was something unexpected. Now its readers can imagine where the new editor will take the paper to. There’s more than meets the eye in TOI’s hysteria over Srinivasan. The desperate effort to unseat him cannot be explained (as Times Now sought to do) as “love of the sport.” Seems more like love of money and the desire to have the BCCI cash cow in friendly hands. wonder who paid for it .. !!!! these ‘respectable’ leaders who in normal course would have at best been nominated to Rajya Sabha some day have been given such undue publicity and been demonized and made fit to nurture ambitions of entering Lok Sabha. If you want to have “real” news, go to the Internet. It is no use to feed the fat-cat journalists and editors of papers like TOI…. Excellent article on Times of India/ Times Now misdeeds and equally excellent responses from readers. But why would Sri Srinivasan stick to his position that he would not resign and would attend the ICCI conference ? Saw a good comment…..He must be feeling like the Prime Minister in refusing to resign !